After suffering from a dearth of top works in the preceding two years, owing to economic jitters sparked by geopolitical uncertainty, the Impressionist and Modern market saw a comeback in consignor confidence in 2017. The tone was set in March by Klimt’s sunny Bauerngarten, which sold for nearly £50m against an estimate in the region of £35m at Sotheby’s London, the cherry atop the highest-totalling auction in London ever, at £194.8m. 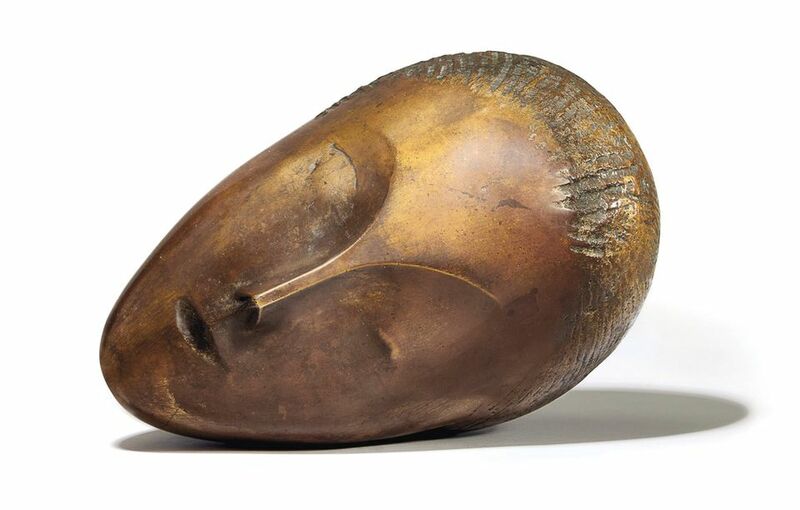 Equally resounding results (minus an equivalent star lot) at Christie’s enabled both auctioneers to elicit stronger material, and they reaped the rewards over the spring and summer; a few months later, Christie’s snagged a true rarity with Brancusi’s sublime bronze sculpture La muse endormie, which shot to $57.3m in the auction house’s May evening sale in New York (est $25m-$35m). By autumn, momentum had built. Christie’s November sale in New York achieved $479.3m—double the previous year’s take—and claimed the year’s top two prices for works by Léger and van Gogh (both artist records, and both paintings probably going to Asian buyers, as did half of the top ten lots the following night at Sotheby’s). Impressive as these figures may be, the top five names only hint at the breadth of the market, with impressive new highs also recorded for Marc Chagall, Jean Crotti, Suzanne Duchamp, Vilhelm Hammershoi, René Magritte, Emil Nolde, Alfred Sisley and Édouard Vuillard. Indeed, the most striking fact of the year’s top five is there is not a Picasso, a Matisse or a Monet in the bunch. Before the $450.3m Salvator Mundi eclipsed every other price of 2017, there was Francesco Guardi’s glistening view of the Rialto Bridge, sold at Christie’s last July for £26.2m—or in layman’s terms, a mere half of the buyer’s fees alone on the Leonardo da Vinci. 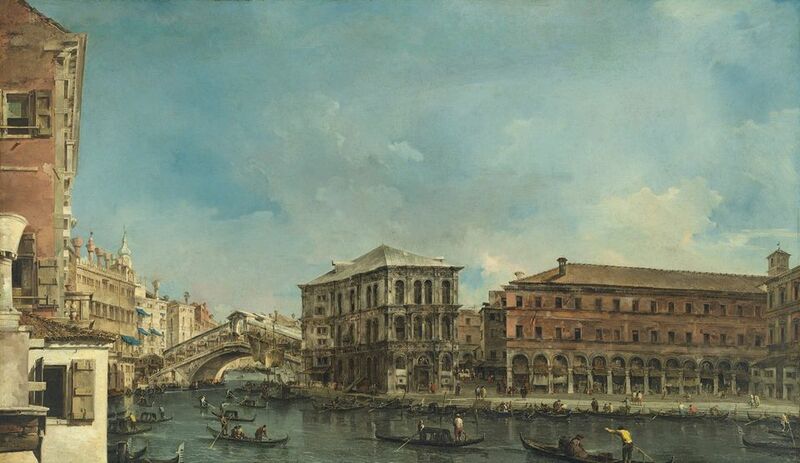 In genuinely great condition and for sale for only the second time in its history, this big, desirable view of the Grand Canal (the Rialto, tick) was by far the best of a clutch of Venetian vedute paintings across London’s 2017 summer sales. Although bidding was cautious, the Guardi was the highest price made for an Old Master since Rubens’s £44.9m Lot and his Daughters a year beforehand in the same room. That said, the hammer price did not quite clear the estimate of in excess of £25m, nor match the £26.7m made by its pendant work at Sotheby’s in 2011, still the auction record for a Venetian view. Whereas the contemporary art world tends to talk up its market, the default mode among the more bashful Old Master fraternity has been to bemoan lack of supply and interest from younger buyers. Yet, 2017 was quite a good year for Old Masters, with stronger than usual sell-through rates and some good paintings emerging, blinking, from collections—think also of the Joseph Wright of Derby at Sotheby’s in December and J.M.W. Turner’s Ehrenbreitstein, which had been in the same collection since 1965. Yes, the Salvator Mundi sold for an anomalous price in a contemporary sale. But the simple fact remains: an Old Master painting sold for four times more than anything else in 2017. Records for design and decorative arts are often made in single-owner collections of the famously stylish: the €22m achieved by Eileen Gray’s Dragon chair in the gargantuan Yves Saint Laurent sale at Christie’s Paris in 2009 remains the most expensive piece of 20th-century design ever sold. 2017 was a vintage year for Paris auctions, particularly in design for which it remains the market capital, and French designers still lead this field. 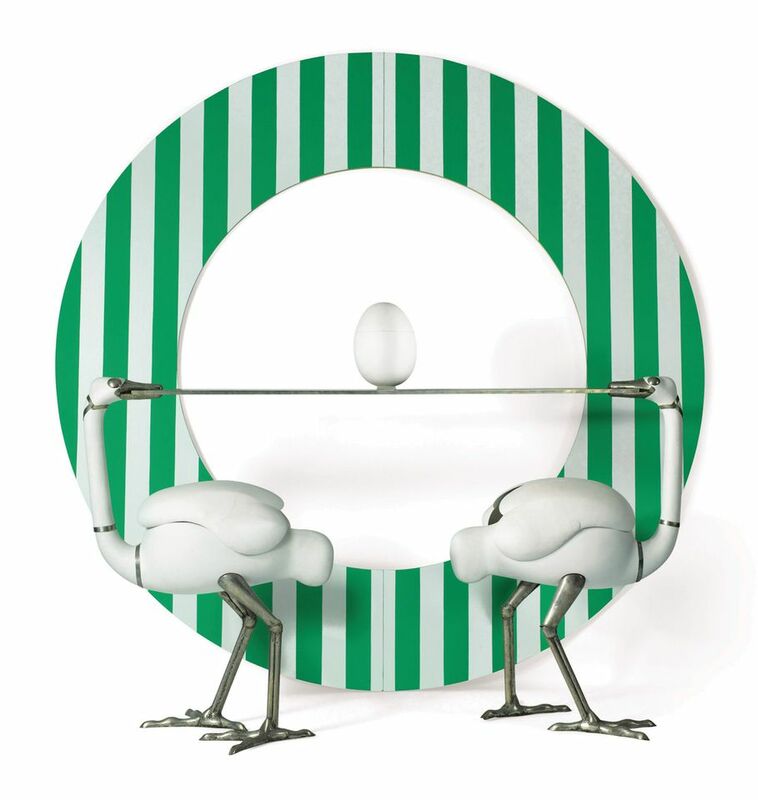 The whimsical creations of Claude and François-Xavier Lalanne are enduringly popular, and exemplified by the over-the-top Bar les Autruches by François-Xavier from the collection of the French interior designer Jacques Grange. One of only six of its type, at €6.2m ($7.3m) this version of the bar just missed setting a new artist record in dollars—that is still held by the flock of ten Mouton de Pierre which sold for €6.1m ($7.5m) at Christie’s New York in 2011. Lalanne was alone in breaking Diego Giacometti’s seemingly unstoppable run—until November, Diego and his brother, Alberto, accounted for all of the top ten prices for design in 2017, consolidating fast rising interest in their design work in the past decade. Aside from the Sotheby’s result (notably, made in a contemporary art sale), all of these prices were made in Christie’s sale of the collection of the fashion designer Hubert de Givenchy. As with the Saint Laurent sale, the joint allure of design and fashion make for a heady combination. Jean-Michel Basquiat led this market by a mile in 2017, both at auction and in private offerings. The late New York artist, whose powerful, distinctive oeuvre has been the subject of several recent museum exhibitions, cracked the $100m mark in May, when the Japanese collector Yusaku Maezawa bought a skull painting that had been off the market for more than 30 years, doubling the previous record (also paid by Maezawa, in 2016). 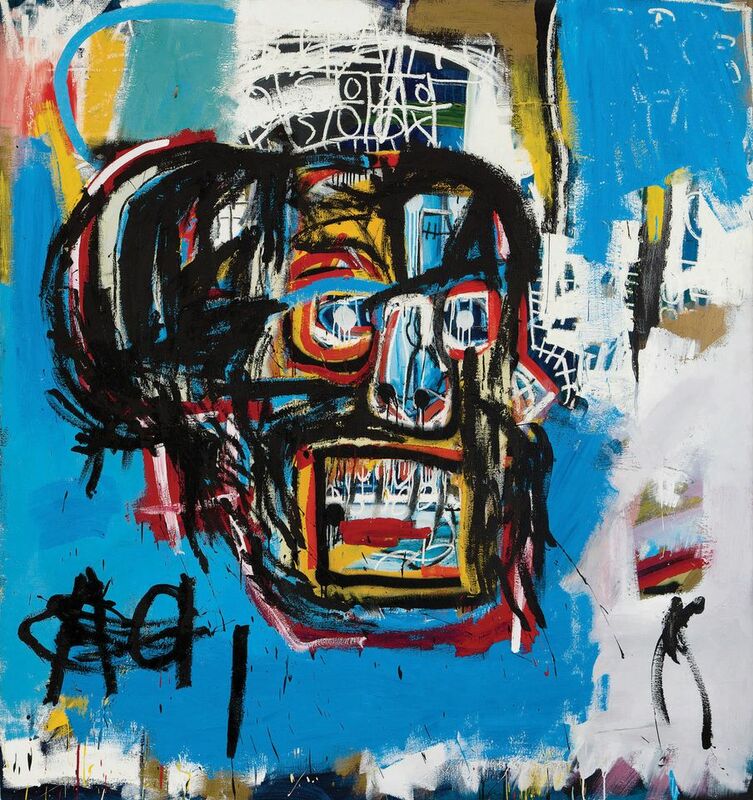 It capped an auction streak for Basquiat, whose works have overtaken former market favourite Andy Warhol and the Abstract Expressionists, who once dominated this sector. The runners-up in the category, while still staggering prices, represent a comedown from these artists’ market highs between 2013 and 2015. The fact that so much of the material offered in the evening sales carries some form of guarantee (including the Basquiat and the Warhol) has muted saleroom drama and fuelled complaints that the top end of the market is essentially a closed system. Bigger movements and pleasant surprises can be found below $5m, as seen with new records for Njideka Akunyili Crosby, Carmen Herrera, Lee Krasner, Kerry James Marshall and Laura Owens, while a rebound in day sales bodes well—at Phillips, the New Now emerging art auction in December notched its highest-ever total in London—with potential for more diverse evening sales in future. Man Ray still reigns supreme over the classic photography market, and Noire et Blanche (1926) is an archetypal example of his stylish, yet disconcerting work. 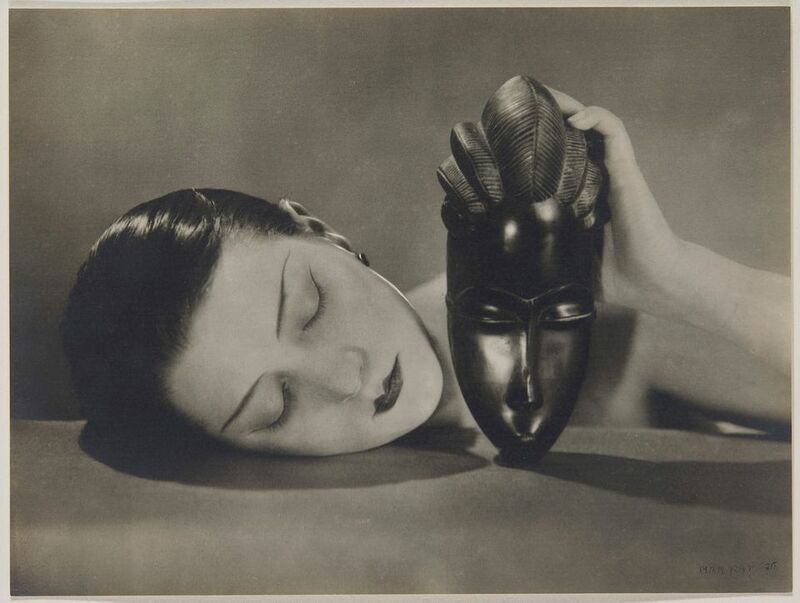 It is, perhaps, the definitive Surrealist image—the great bohemian muse Kiki de Montparnasse’s face echoed by the African tribal mask that she caresses. It was first published by French Vogue in 1926, and the example at Christie’s Paris, one of the earliest of 24 made, was bought in 1926 by the French fashion designer and collector Jacques Doucet, later owned by the milliner Suzanne Talbot and appearing at Christie’s as part of the Thomas Koerfer collection. The result trounced the previous auction price for an early print of Noire et Blanche—$396,000 in 2007—showing just how much Man Ray’s market has risen in a decade. The most expensive photograph ever sold in Paris, Noire et Blanche set an artist record for Man Ray and a new high for a classic photograph, although the overall record is still held by a contemporary work: Andreas Gursky’s huge Rhein II, sold at Christie’s New York for $4.3m in 2011. Elsewhere, there were strong prices for Gilbert & George—seemingly ubiquitous in their anniversary year of 2017—with two large-scale composition works from 1977 leading the way.